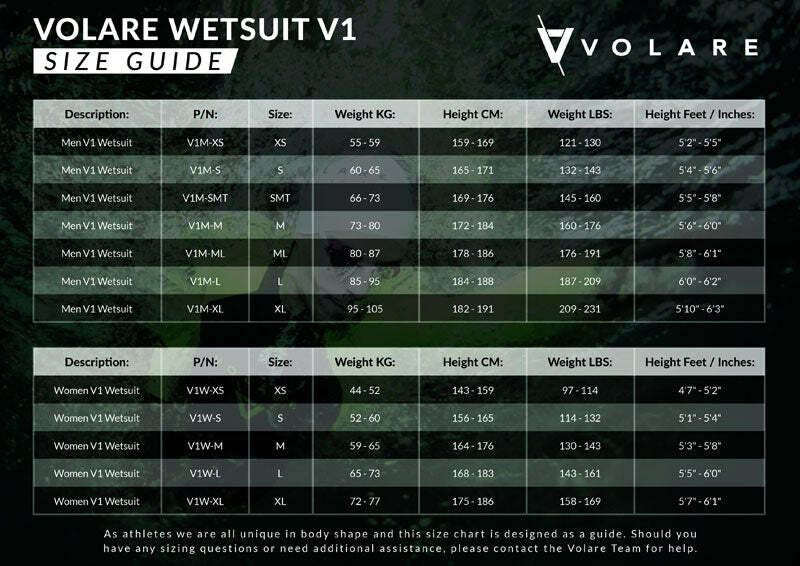 The Volare V1 Sleeveless Triathlon Wetsuit is designed specifically for swimming and triathlon. Its neon yellow shoulders and leg panels make the suit highly visible in the water. Making this suit ideal for open water swimming, triathlon and surf lifesaving. In a sea of black neoprene, you will be sure to standout from the crowd. Yamamoto has been the worlds leading manufacturer of neoprene since 1961. Yamamoto neoprene is derived from limestone, unlike most neoprenes that are petroleum based. The resulting cell structure absorbs dramatically less water, offers superior insulation and unparalleled mobility in the swim stroke. The main body panels utilise 3mm Yamamoto, which provides warmth to the body and improves a swimmers overall body position by providing enhanced buoyancy. Key movement areas such as the shoulders utilise 2mm neoprene, ensuring a relaxed swim stroke, which helps minimise fatigue. We have eliminated that “claustrophobic” feeling found in most wetsuits, by developing a low cut neckline that is both comfortable and watertight. Testing of competitor products established that unfinished or raw edge necklines, while comfortable did not provide the longevity expected for triathletes and swimmers. Put on your tri suit or chosen race gear. Covering skin reduces friction, making it easier to slide into your wetsuit. Try on when you are dry and in a cool place. Avoid trying on when you are sweaty or wet as this increases friction and makes achieving a perfect fit much harder. Use thin gloves and pull suit between your finger pads. Pull material up a few cm at time, never rush it's not a race. Never use your fingernails; high performance suits can be easily damaged. Rinse in fresh water after every swim. Avoid drying your suit in direct sunlight.